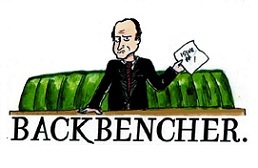 The Backbencher – Should the study of politics be considered an art or a science? Sami Steinbock, on whether studying politics is an art or a science. We often distinguish between the ‘art’ of learning and the ‘science’ of doing. There is debate under which category that of studying politics falls. The study of politics has links to both economics and philosophy; it both analyses the history and tries to predict the future. As pointed out by Kingdom (2003) it is “impossible to give a simple answer” to exactly what the study of politics entails, and to the question of its nature. Lasswell (1935), described politics as who gets what, when and how, and Aristotle described it as the study of the state. According to Menzies (1958) politics is both a fine art and an inexact science. It is hard to distinguish exactly whether politics is an art or a science. There are many different opinions and of course it is not as simple as falling under just one category. Valery (1943) described Politics as “the art of preventing people from taking part in affairs which properly concern them”. There are many definitions to consider, and one of the key aspects is that studying politics provides good grounding as preparation for the “doing” of politics. At the same time it equips the student with important skills such as problem solving, critical thinking, the ability to distinguish between fact and opinion and the recognition of bias amongst others. Politics is always adapting and evolving to the changing world. The distinction between an art or science is commonly that a science is concerned with theoretical truth, whereas an art is concerned with the methods that lead to accomplishing a goal. Furthermore a science can be a department of practical work which still depends on knowledge and the conscious applications of the principles, whereas an art on the other hand is understood to require merely knowledge of skills acquired by habit. There is also a division between the certainty of scientific study and the normative nature of art, and there is much debate as to which of these two categories the study of politics more closely resembles. Many academics believe politics is too normative to be a science, and that generalizations that you find in science do not work for the study of politics, but Riker (1982) disagrees. Riker believes that politics is in fact an empirical discipline with an incisive and well-developed deductive theory. 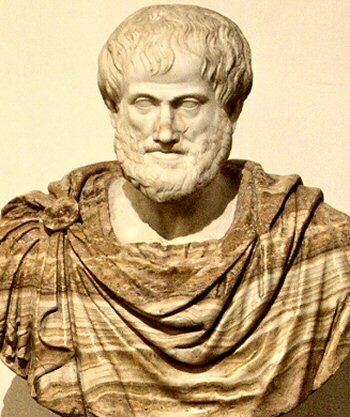 Aristotle, of course, famously described politics as the “master science”. The study of a “science” can be described as the way things are, thereby being predictive in a sense. Political science can therefore often be described as man’s understanding of the world around him, the study of the state, government and politics. According to Riker, through empirical observation man deducts laws that he believes govern a subject. Similarly with politics, man extrapolates laws from empirical observations of society. Studying politics scientifically is associated with a value-neutral approach. As Gerring (2006) points out when you study politics scientifically you seek out to uncover “what is”, rather than “what ought to be” in the political realm. Politics should be relevant to practical, public concerns – to matters that effect the commonwealth. When defined from an economic perspective, it is easy to see politics as science but there are many scholars, such as Mueller (2010) who say economics itself is not a science due to the impossibility of accurate prediction. As we find in Lasswell (1935) political science is a recent component to the study of politics with the professional organization in the field not reaching the USA until 1906, thereby displaying the adapting and evolving nature of politics. Leftwich (2004) points out in his conclusion that the aim of politics is to explain power thereby it is both systematic and a science. Politics is often described as an art due to it being a man-made creation. There is no ‘right answer’ such as there is theoretically for a science, rather there are multiple ways to construct it. The best way to look at politics as an art lies within political theory as explained by Vincent (2007). Kingdom (2003) believes all organization contain politics, but “political scientists mainly study the state”. Therefore although the study of state is a science the generic study of politics is not thereby making it an art. The idea of agency is important in Politics as pointed out by Leftwich (2004) thereby making it more historical and more of an art. The practicality of politics and political behavior is unquestionably an art, therefore if the study of politics was geared towards the practice of it that would surely mean it must be considered an art. The tools given in political science do not make a politician in the same sense that the study of sport and physiotherapy does not make an athlete. It is practically embarking on it and in politics specifically skills such as public speaking, persuasion and pure-grit that are often important. A successful politician does not make a renowned scholar and vice versa. If we are studying politics in its most basic form and in concepts rooted therein then we are looking at the study of an art. Even more importantly political science is not always accurate in describing the political process. Whether the study of politics is an art or a science is a controversial issue with many books seeking to deal with it. The answer itself is not as controversial though as the definition of the key terms themselves. The way you define the terms of course influences your answer. The study of politics has many definitions and dependent on those definition is the answer to the question. In order to find the answer it is important to decide the definition you agree with most. This article began with a quote by Menzies (1958) describing politics as both a fine art and an inexact science. The scientific methods required must be used in tangent with its artistic study. The study of politics couples both political theory and political science as well as political history and international relations all being integral within its study. Without being predictive it is not much of a science but cannot be considered entirely an art. There is a reason that in 1906 the floor for political science was given in the USA. In recent times the political science movement has grown and the study of it as an art has been neglected but it is no less important. Politics had distanced itself from economics but now the study of political economy has grown, which has resulted in some academics considering the study of politics purely as a science. The truth is that politics involves both: politics starts as an art but once you master the subject it becomes a science. In the beginning the theories and the historical aspects of the study of politics have more similarities with art but once you progress in the sophistication of your political thought processes it becomes a scientific study. In modern society, with increased globalization and international political movements, the study of politics has naturally changed to reflect a more interdependent and connected world. Of course the study of politics is more scientific than it was 100 years ago but to state that the study of politics is in no way an art would be incorrect.